Besides being one of the best times of year to visit Peru for reliably fantastic weather countrywide, June is the start of Peru’s festival season and this particular June will be one of the most festive to date as the Peruvian National Team takes the field in Russia for the 2018 World Cup, their first in 36 years. Expect Peruvian pride to be at an all-time high, adding a new and unprecedented element to the festivities that take place every June in Peru. Below, we take you through the schedule of events for the first half of June 2018 in Peru, from the cobblestone streets of Cusco to the jungle cities of the Peruvian Amazon. Take note and plan your customized tour of Peru accordingly because a June like this only happens once. 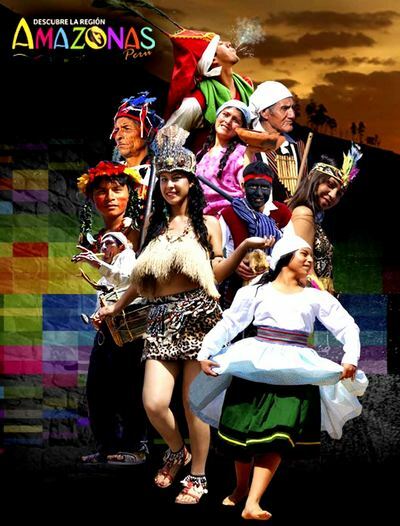 Plan your trip to Amazonas for the first week of June to live the experience of one of northeast Peru’s biggest folk events of the year. The week-long party takes place in Chachapoyas, the capital of the Amazonas region of Peru, and includes parades, folk dancing, singing, and traditional rituals like the Fire Festival of Nina Raymi where locals dance around the bonfires set in the four corners of the colonial city’s main square. We should also mention that while in Chachapoyas, you’re perfectly situated to continue your tour of Peru to the nearby ancient archaeological sites and jungle attractions like the Gocta Waterfall and the Kuelap Fortress to name just a few. If you plan your personalized trip to Peru to overlap with June 16, you will not be disappointed. The air will be abuzz with chants and every Peruvian will be decked out in red and white from head to toe. Though the 2018 World Cup actually kicks off on June 14, Peru’s first match of the group stage takes place this long-awaited Saturday at 11am local Peruvian time when they take on Denmark. Celebrated since 2006 when ex-President Alejandro Toledo officially declared June 15th the Day of the Andean Song, this day and the days surrounding it are usually marked by concerts large and small throughout Peru. The municipality of Lima usually organizes a free concert in the Plaza de Armas of Lima’s historic city center, inviting musicians from throughout the Andean regions of Peru to perform. Similar to Inti Raymi in Cusco, Sondor Raymi is a reenactment of the origin myth of the Chanka civilization, a culture that existed around the same time as the Incas. 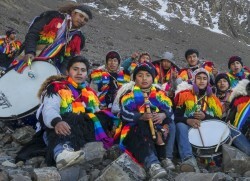 Their reenactment involves hundreds of actors in costume and takes place at Pakucha Lake in Andahuaylas where the Chanka origin story begins and at the archaeological site of Sondor. While in town, we recommend a visit to the Church of San Pedro de Andahuaylas, considered to be the “Sistine Chapel of the Americas” for its beautiful frescoes and colonial architecture. June 21, 2018 marks Peru’s second match of the group stages in the 2018 World Cup. They take on France at 10am local time. Early as it may be, the bars and sports pubs will be crowded with fans sporting their Peru jerseys proud. Wherever, you are on your customized tour in Peru, our Kuoda team can recommend a good spot to view the match. 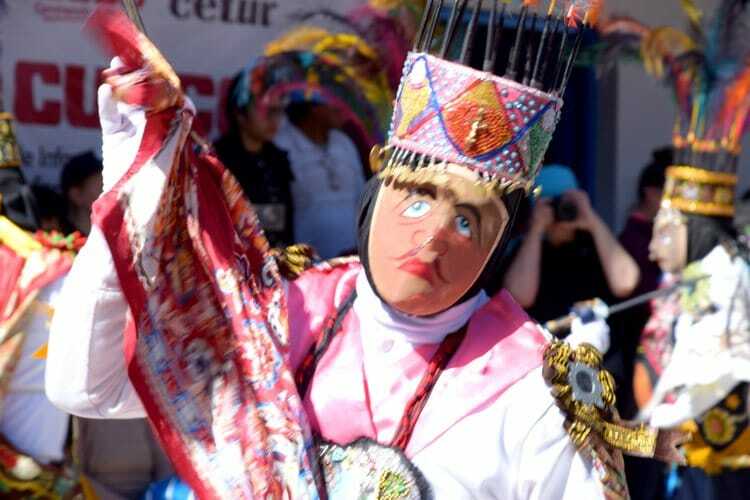 The Noche de San Juan takes place in Peru’s southernmost region of Tacna, near the border with Chile. 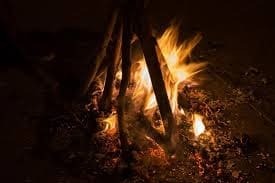 As the name implies, much of the festivities take place at night and by the light of flame torches and bonfires that light the route along the Valle Viejo (Old Valley). The festivities include traditional music and dance as well as plenty of delicious local food. Would you believe us if we told you that this is only the half of it? Stay tuned for part 2 of Peru’s June festivals and events rundown and in the meantime, reach out to one of our Kuoda Travel Designers to begin crafting your custom Peru vacation package. But don’t lock in anything yet. Part 2 will introduce you to several June events in Peru you definitely do not want to miss.